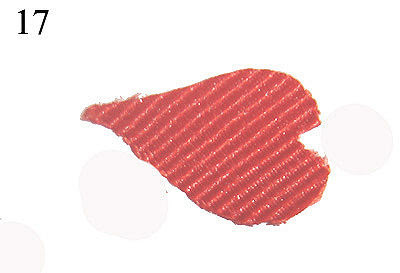 Step 7/ To make the 'heart' wing, use the 7/8"x7/8" ribbon. Follow the black line in Pic.12 to fold it in half. 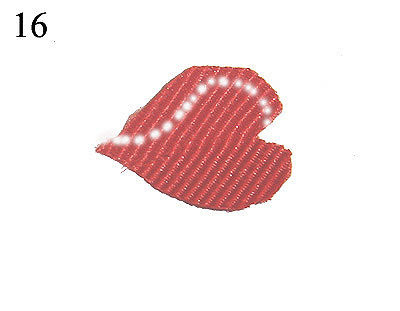 Continue to cut your ribbon as is shown in Pic.14, 15, 16 until you get a heart-ike shape as is shown in Pic.17. Heat seal the edge of the heart with your lighter ( Run your lighter along the edge of the heart so the heat will melt the ribbon a bit and leave a clean edge). 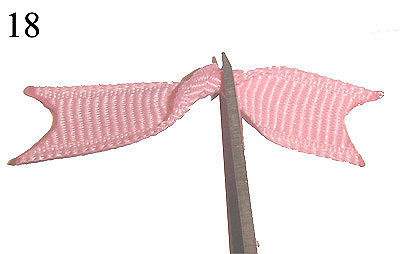 Step 8/ To make the tail, use the 3/8"x2" pink ribbon. 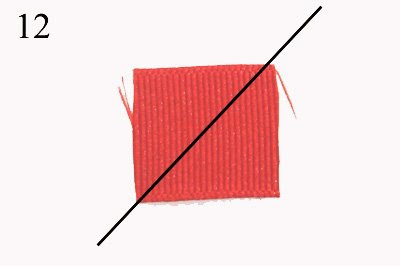 Make two V-cut of the two ribbon ends and heat seal the cut. Simply twist the ribbon twice somewhere in the middle but not exactly in the middle,. 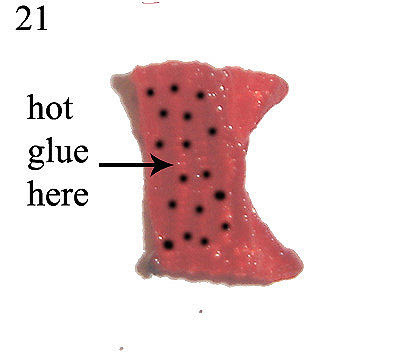 then apply some hot glue to the shorter part and quickly glue it to the other part, as is shown i Pic.18, 19. 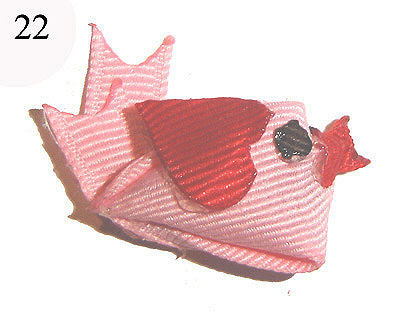 Step.9/ To make the beak, use your 3/8"x3/8" red ribbon. Fold it in half. Run your lighter along the fold until it gets quite hot then use your fingers to press firmly. Do it several times until you get a permanent crease. 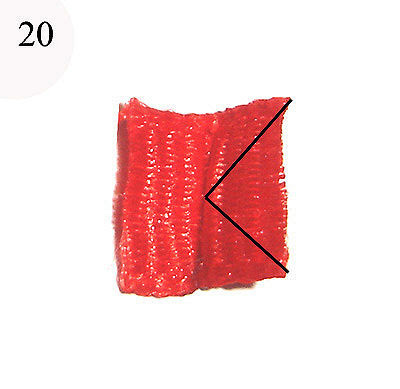 Follow the black line in Pic.20 to make a V cut. 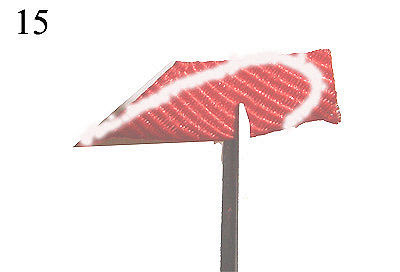 Heat seal the cut and the other end of the ribbon. 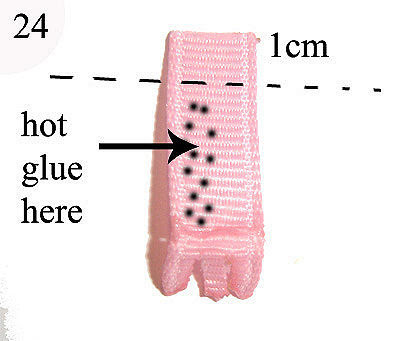 Apply hot glue to one half of the ribbon (the one without the V-cut) and glue it to the small hump of the bird body that you made in step 6 (PART ONE) - (Pic.21). 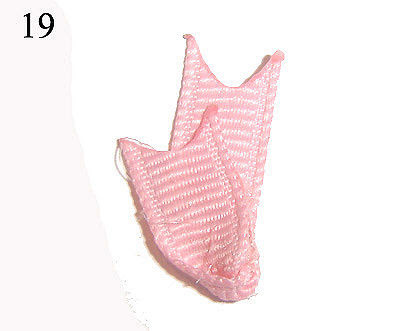 Step 11/ To make the feet use the two pieces of 3/8"x1" pink ribbon. 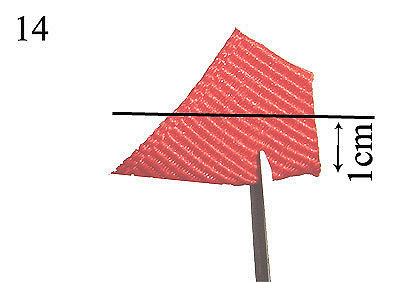 Using the same method as described in step 9 to make a permanent, decent crease at about 1cm from the end of the ribbon (Pic.23). 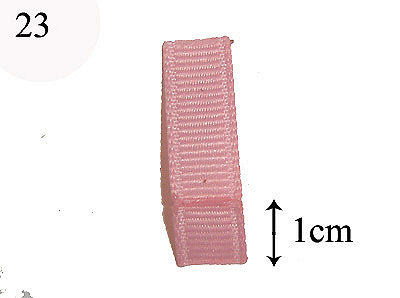 Use your scissors and cut two slits at the '1 cm' part of the ribbon and heat seal the slit with your lighter (Pic.24). Tip: Fold down the ribbon next to the edge of the slit you're going to heat seal so the heat won't melt the deep end of the slit. 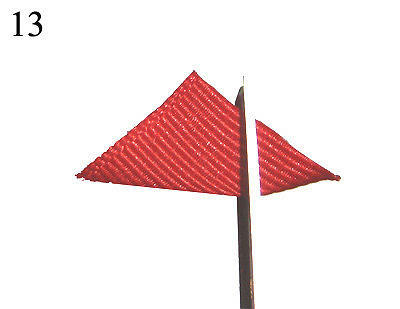 Apply hot glue to one half of the longer part of the ribbon, let alone about 1cm at the top (Pic.24), then quickly glue it to the other half. 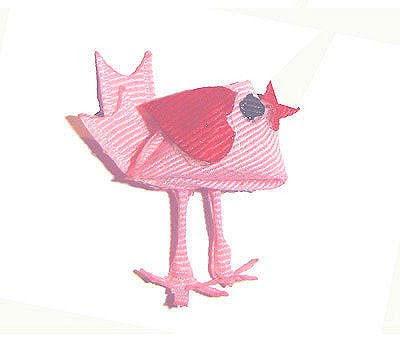 Do the same of the second piece of 3/8"x1" ribbon to make the othe leg and glue it to the bird's body, too. You've just made your bird! CONGRATULATIONS! 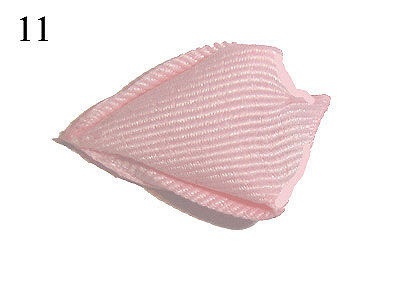 This can be attached to a hair clip or a pin, or you can use it as an ornament for your sewing or scrapbooking project etc. 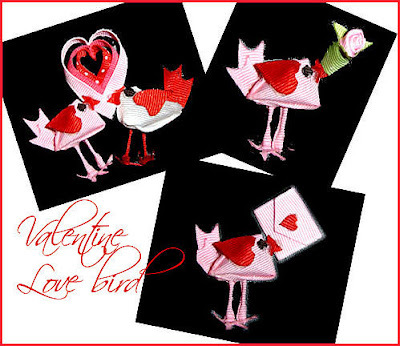 Here are some ideas what you can do with your "LOVE BIRD". Thank you for visiting my blog and I hope you enjoy this tutorial !! !